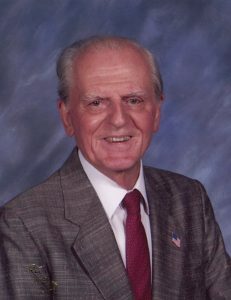 George T. Hayden of Nassau Bay, Texas, beloved father, grandfather, brother and uncle, passed away April 20. His wife Ande, brother Richard and son Andrew preceded him in death. 1960’s to work for space program contractors, helping to put a man on the moon and to keep the space shuttle flying. George is survived by his son Michael (Martha), grandchildren Matthew and Mark, and brother Robert (Lorraine). A memorial service will be held 3pm, Sunday May 6 at St. Christopher Episcopal Church, 2508 St. Christopher Avenue, League City TX 77573. So very sorry for your loss. Mr. Hayden was one of a kind and will be missed. Sincere condolences to Mike and family. Uncle George always presented himself to be kind, intelligent, and an interesting conversationalist — we will miss Uncle George!